Subject: I need your help!!!! You know I feel giving back to nonprofit organizations is so very very important for us to do. We have so many opportunities in our life to help others that are in need… not for the recognition, the glory or anything like that… just simply to lend a helping hand to so many wonderful people that need it. In the past I supported several different organizations and 1 year ago I tried to systematize and scale it up to a level that quite honestly I just wasn’t ready to handle (time, man power, etc) and it never really got off the ground. (extremegive.org) I come to you today a much more humble person and have been blessed to find an organization REBSEA.org that is accomplishing the same thing I was trying to start from scratch. This nonprofit organization is mainly east coast having been started in Florida but is catching on like a wild fire. 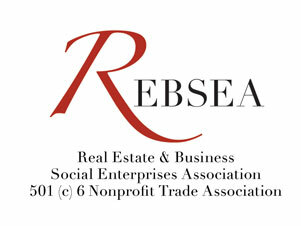 I am blessed and honored to be a founding member of REBSEA in AZ. With the system, structure and support of this great organization I can truly accomplish my goal, my dream of giving back to AZ. Having said that I officially announce the launch of my new program to assist AZ nonprofits. I bring to you “Give Back AZ”. 1. If you know of any Non-profit organizations/Charities that can use our assistance please send me the organizations name and a contact person or have them contact me. 2. If you know of anyone who is looking to buy or sell a home now or in the near future, Please have them contact me so we can assist them with their Real Estate needs while assisting a Non- profit/Charity of their choice. 3. If you have a burning passion to assist nonprofits and would like to help me “spread the word” please contact me immediately. My Commitment as a founding member of REBSEA.ORG and the “Give Back AZ” Program is to assist with adding additional Non-profit/ Charities to our network and also donating a substantial percentage of my Real Estate commission from each transaction my team closes. Last year I was donating 10% of my commission as a startup nonprofit (having a lot more expense) with the REBSEA.ORG team having the website, a good start on the marketing, and the infrastructure (to this already successful organization) already in place I am so excited to be in a position to DOUBLE IT. I am now donating 20% of my real estate commission directly to the nonprofits. No middle men to deal with or expenses to come out. A true 20% of my gross commission goes directly to the nonprofit!!! I greatly appreciate your time and assistance. Sneak Peak of the Newest Listings... Click Here... DON"T MISS OUT!!! How much is your home REALLY WORTH... FIND OUT NOW!! !